Despite examples where gamification has been successfully used in journalism, news publishers and journalists remain sceptical. Whether it’s a quick break on the smartphone, weekends spent in front of the gaming console or even a board game party, for many people games are a way to relax and socialise. But games are also becoming part of daily working lives. Gamification is impacting almost every profession, including journalism. Gamification is generally defined as the application of playful elements of games to other areas, to fascinate and motivate users, and sometimes even change behaviour. One example is the Stockholm piano keys project. Implemented in 2009 on the Stockholm subway, a normal staircase was equipped with piano keys, which produced sounds when stepped on. This increased by 66% the motivation to take the stairs instead of the escalator. But can gamification help journalists interact more with readers, develop ideas or organise tasks in a more satisfying way? I recently evaluated these questions for a master’s thesis. I found a number of examples of how gamification is already being used successfully in journalism, however the research also identified some resistance to the concept from journalists and news publishers. My thesis aimed to define gamification and also to determine the role of gamification in journalism, to find distinctions to other approaches – such as news games – and to demonstrate how games could be useful to journalists. This was done by combining existing research on the topic with expert interviews, and by creating two possible concepts of gamification for journalism. These concepts were then evaluated by group discussions. Among the examples of existing journalism games mentioned in the research is Opinary. 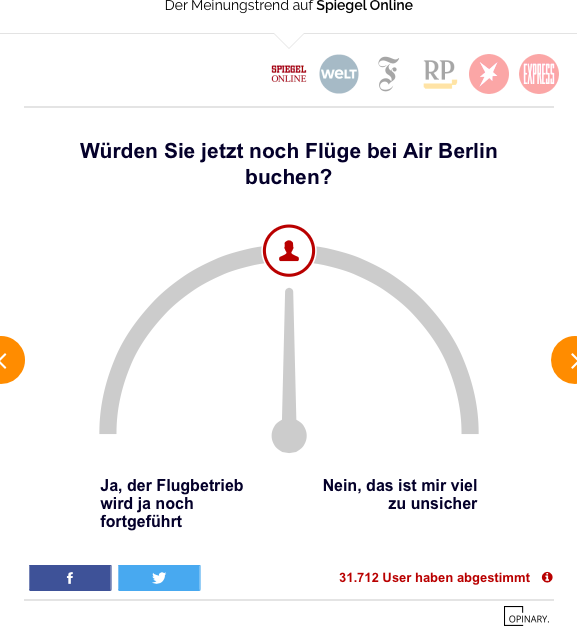 The German site invites users to express their opinion on any topic. It uses the information to create visualisations (see below) allowing users to see how others voted on the topic, and to compare their own opinions. The opinion polls are sponsored by news publishers. Opinary: test your opinions against other users. 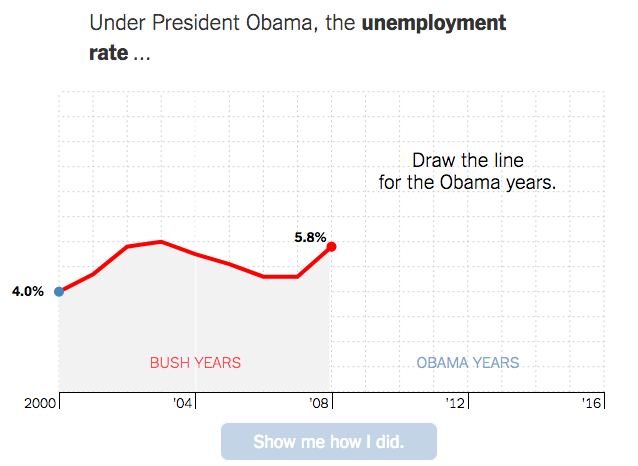 Another example, You Draw It, by the New York Times, focuses on understanding current political developments with the help of graphs drawn by readers. The idea caught on and has also been implemented for German politics by the regional broadcaster BR for a project on Chancellor Angela Merkel. The New York Times’ You Draw It, invites readers to test their political knowledge. Other journalism ventures include Einheitsreise – a project on German reunification developed by the newspaper Berliner Morgenpost – which has a gamified opening. 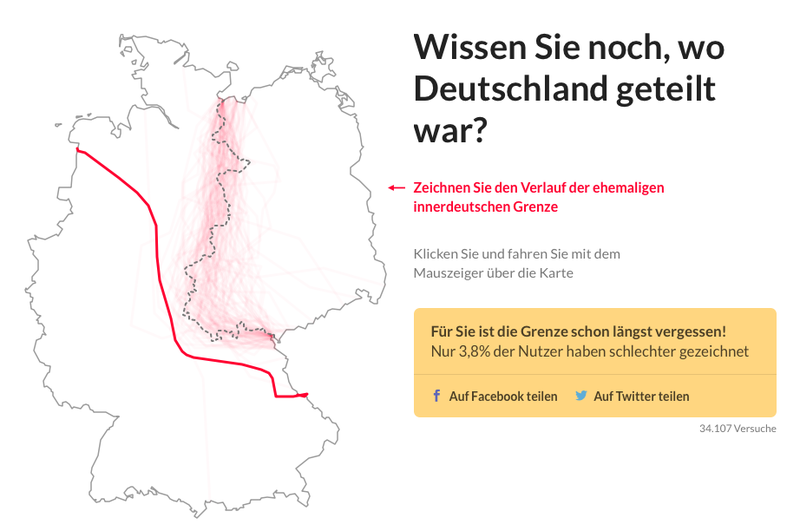 Users are asked to draw where they think the wall between East and West Germany was located during the Cold War. They are then able to compare their imagined wall with those of other readers – and with the actual location of the wall. Where was the original wall between East and West Germany during the Cold War? Gamified site, Politik Hero has also gained recognition. Although more about politics than journalism, Politik Hero aims to initiate political discussion, using a playful presentation. A number of apps have also taken up the concept for education or productivity-enhancing purposes. One of the concepts I developed as part of the research was for a theoretical site, named Balanced News. It aims to motivate journalists to step outside their own social network filter bubbles. To ‘win’ the game players must balance a set of weighing scales. They can do this by researching information from both sides of the political spectrum to balance their reports. This concept was inspired by the site AllSides which examines news stories from every political angle. The existing examples demonstrate the potential for gamification in journalism, but so far the approach has not been widely adopted. According to the experts interviewed for the thesis this could be for a number of reasons. First, the creation of such concepts involves time and money. Second, many journalists seem to fear a further loss of credibility through the increasing use of games. Outlets are also still unsure about the potential effects of gamification on their readers. Study of gamification is still at an early stage and it is likely that all of these questions could be answered by further research. My thesis concluded that the normalisation of gamified approaches in journalism could reduce scepticism towards gamification – both from media outlets and the audience. Through increased use, special genres for gamified journalism could evolve. This would, in turn, make it easier for news organisations to introduce more playful forms in journalism. When it comes to innovation, curiosity for something new and the eagerness to experiment could outweigh any fear of the unknown. 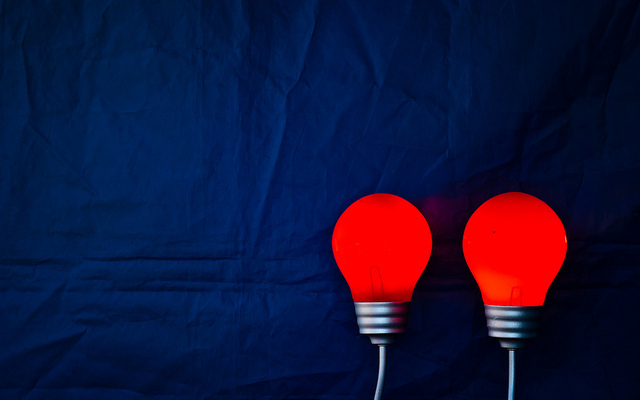 While gamification is certainly not a panacea for all of the problems currently faced by media, it is definitely an approach that media innovators should know and keep in mind. Florian Lange did his Bachelor’s and Master’s degrees in journalism at the Catholic University of Eichstätt-Ingolstadt in Germany. His Master's degree focused on innovation and management. He also likes gaming, which is how he encountered the topic for his Master's thesis upon which this article is based. 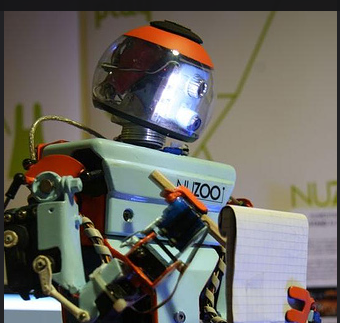 » Digital News, Recent » Gamification: Should Journalism Be More Playful?